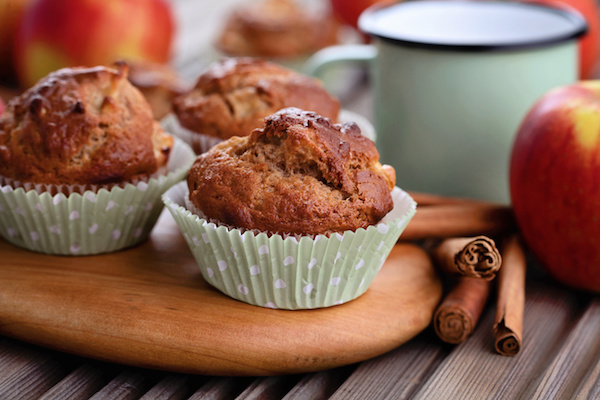 These muffins are a great grab-and-go snack. If you make them with raisins, they also work for bake sales and the like. *For bake sales, you can replace the almonds with raisins. Mix sugar, oil, molasses and egg. Stir in cider and apples. In large bowl, stir flour, bran, baking powder, baking soda and cinnamon. Blend in the apple mix, just until moist, then add almonds or raisins. Spoon into prepared muffin tins. Bake at 400° F for 20 minutes.